It’s not often we get a new potential option for collecting more Nectar points, but we’ve now got a new opportunity. Nectar cardholders are now able to collect more points with Photobox – yay! 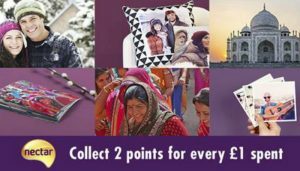 Very simply, you can earn two Nectar points for every £1 you spend at Photobox. Photobox is Europe’s leading online photo printing company, offering to make Retro Prints, Photo Books, Canvases and other personalised gifts. So, as well as picking up gifts for family and friends, or keeping memories of your own, you can also collect Nectar points! 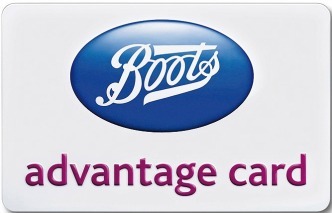 On top of collecting points with your normal spending, Photobox will be regularly offering bonus Nectar points. They will be offering us exclusive codes which will unlock additional points at the checkout. How do I start claiming Nectar points with Photobox? 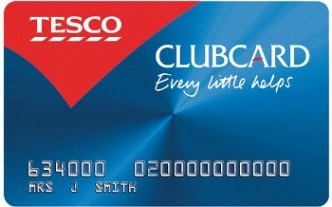 Set up an account for free at photobox.co.uk (if you don’t already have one) and then just link your Nectar card. (In a similar way to how you link your eBay account to Nectar). If you link your Nectar card to your Photobox account from now up until 19 March 2017, you will be entered in the Nectar Millionaire Points Draw! For any purchase you make until 2 March 2017 you will be given one extra entry too! Just imagine walking away with 1,000,000 Nectar points just for linking your account! Easy, hey? On top of winning big, there is also a chance for 50 runners up to get a prize too, with them scooping £50 to spend with Photobox. As well as being able to collect your points in this way, you are also able to spend your Nectar points with Photobox. 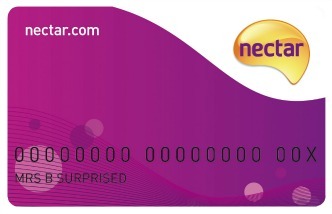 Visit nectar.com to cash in your points where 500 points = £3 of Photobox vouchers. 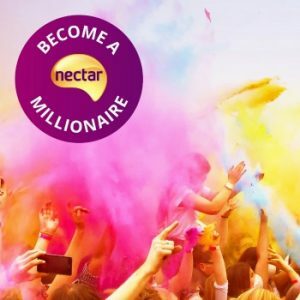 So what are you waiting for – head over and link your Photobox account with your Nectar account for the chance to win a prize with £5,000 (one million Nectar points)!